US industrial designer who graduated from the Cleveland Institute of Art (CIA) in 1946, after serving in North Africa and Italy during World War II. He started working with George Walker's consulting office in Detroit in 1947, where he worked on a number of projects, including the classic 1949 Ford. In 1948, he returned to Akron, OH and opened a design office with his CIA classmate Samuel Scherr. Later, Bernard McDermott joined the firm, which was then known as Smith Scherr & McDermott (SS&M). By 1960, the firm had 42 employees and many clients, including Goodyear, Tappan, Hoover, Westinghouse and Rubbermaid. The International Trade Agency engaged the firm to establish a design office in Korea to train designers and teach a design course at the University of Pusan. In 1960, Smith resigned from SS&M and established his own office, F. Eugene Smith Associates, in a Bath, OH barn. His firm soon had offices in West Berlin and Hong Kong, with numerous clients including the J. M. Smucker Co., Sea Pines Company in Hilton Head, SC, International Paper, Sherwin Williams and Quaker Square in Akron. In 1965, Smith participated in a national seminar by the American Institute of Architects (AIA) entitled, "Aesthetic Responsibility" or "Why Ugliness." He chose the subject of commercial business strips, and developed a slide presentation he called, "Why Ugliness-Why Not? It's the American Way," illustrating local examples of gross ugliness as well as some good examples and a touch of humor. After popular demand locally, he expanded his presentation delivering over 700 lectures around the country and internationally, some of which occasionally introduced him as an "Expert on Ugliness." 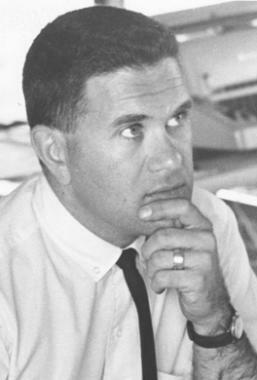 An active member of IDSA and its Ohio Valley Chapter, he was awarded IDSA Fellowship in 1970. In 1978, Smith sold his business to associates and started F. Eugene Design Management in Ghent, Ohio, a suburb of Akron. His firm later moved to a stone farmhouse and carriage barn near downtown Akron. It continued to offer design services including architecture. Clients have included General Motors, University Hospital of Cleveland, Jaguar Motor Corporation, National Endowment for the Arts, TransOhio Savings and the Hilton Head Company, SC. Smith was a founder and Director Emeritus of Scenic Ohio and served on the Board of Scenic America, fighting tirelessly for the natural beauty of places and against excessive signage. He was a founding and active member of Progress Through Preservation (PTP). He established Re-Barn as a venture to adaptively re-use pre-Civil War barns. Gene’s many design projects may be found not only in Ohio, but throughout the United States, Canada, Europe, the Mid-East, Afghanistan, South Korea and Asia. Smith served on the boards of nearly two dozen organizations;he additionally served on numerous advisory panels, commissions and committees. He was the recipient of over 60 local,regional and national awards and honors, including most recently the Ruth Wright Clinefelter Preservation Award for Lifetime Dedication to Historic Preservation, for which he was co-recipient with Ramona. These are only highlights of the accomplishments of F. Eugene Smith; his achievements are too many to list. A successful and talented designer, he worked tirelessly his whole life to make the world a better place through an appreciation of beauty, history and natural space.